Cracked walls, bulging floors, and doors that won’t close are some of the signs of foundation issues. The sooner you pinpoint these foundation problems, the easier and less costly the solution will be. 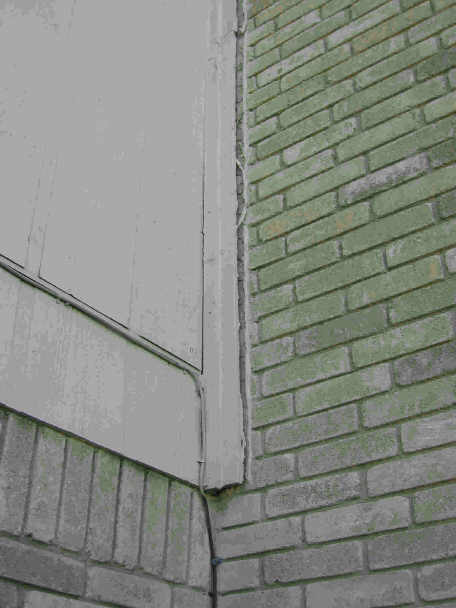 Here are a few examples of any of the early warning signs of foundation problems. Click on each picture for an enlarged view. Are the floors in your home sloping or conspicuously uneven? If yes, you may have a serious foundation problem. Often, sagging or uneven floors are accompanied by other foundation problems. For example, jammed doors and cracks in the drywall. Sagging floors can be unsightly. They can also be dangerous. As such, have your foundation fixed as soon as possible to avoid hazards. Gaps around the exterior doors and window frames could be potential signs of foundation problems. Luckily, gaps are easily identifiable. Double doors, for example, don’t align as they should. This misalignment makes them particularly difficult to close. What’s more, doorframes may become crooked. When this happens, they impair all types of doors from operating normally. Seek professional help as soon as you notice this problem. A tilting chimney isn’t an optical illusion. It’s a serious foundation problem that should be dealt with as soon as possible. These tilting chimneys are a very common problem in residential construction. 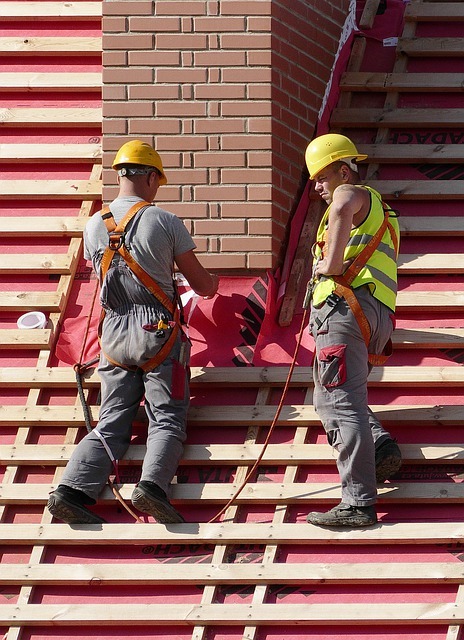 To remedy a tilting chimney, foundation experts usually use a helical or resistance pier. This helps transfer the weight of the chimney deeper into the earth to provide the necessary support. If your house has any of these signs, have it checked by a professional. A sinking or settling foundation can cause severe structural damage to your home. A foundation can sink or settle due to various reasons. For instance, ground movement, bad drainage, or poor construction. Foundation sinking or settling can also be caused by uneven soil beneath the structure. Soil is arranged in a sequence of layers. This means that anything placed on it will settle according to its stratified layers. Most structures that sink or settle are usually built on uneven ground. In most cases, gaps resulting from foundation settlement are vertical. Keep this in mind when inspecting your foundation. This is because, aside from your home’s foundation trouble getting worse, extensive settling could also cause many safety issues. As such, contact a foundation repair professional as soon as you notice foundation settling or sinking. Not all foundation cracks are created equal. Some can be pretty normal, but others can signal a foundation problem. 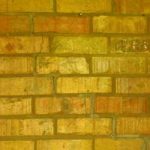 If you’ve noticed the brick exterior of your house or your foundation has gaps, it could signal trouble. Moreover, a broken chimney, wall fissures and floor cracks can also signal a foundation problem. With time, your home’s foundation could move. 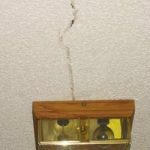 When that happens, the cracks on the exterior could turn out to be a very serious issue. Typically, unstable soil causes the foundation problem. In some cases, it could be as a result of inclement weather conditions. 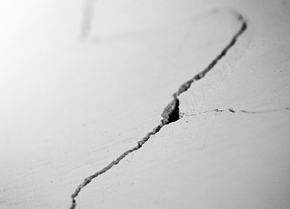 Normally, wall and foundation cracks measure 5-15mm in length. Anything above 15mm is serious. Fractures can either be angular or horizontal. If horizontal, it most likely means that your foundation is being impacted by an excessive amount of water. If angular, it could mean that the cracks are being caused by a brick that’s in contact with a slab foundation. In most cases, these cracks tend to be around 10”-15” long. 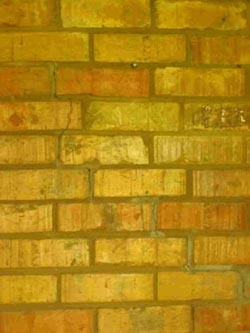 When brick expands, the edges of the brick are forced outward. 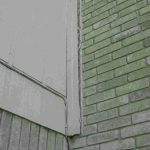 While it’s typical for a foundation to sink and develop tiny cracks within the first couple of years (two to three years), horizontal cracks in concrete block walls or in brick exteriors could signal a serious foundation problem. A gap of even ¼” thickness should be worrying. When examining these gaps, it’s important to check whether they are horizontal or vertical. 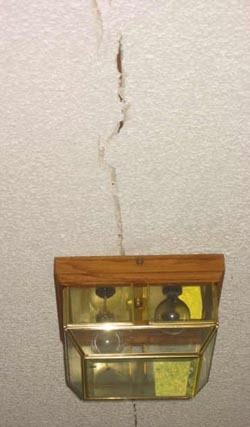 Generally, vertical cracks aren’t a sign of serious trouble since dry walls run in the same direction. But if you notice cracks that are positioned at a 45-degree angle that could mean severe foundation movement has occurred. 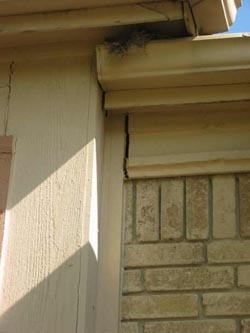 Besides, fissures that appear near the corner of exteriors and run up and down could signal a serious foundation problem. These fissures are generally known as stair-step cracks. Foundation upheaval can lift an entire structure, but more often it forces parts of a foundation or slab upwards, creating cracks and uneven floors. Foundation settlement and foundation upheaval are two different foundation problems. Unlike foundation settling, foundation upheaval is a very serious structural issue. It may look similar to settlement, but it’s a much more serious problem. The most common cause of foundation upheaval is too much moisture in the soil. Plumbing leaks under the concrete slab. To remedy a foundation upheaval, you need to know the cause. If the exact cause isn’t identified, the problem could re-occur later. In most cases, foundation experts first identify the cause of the upheaval problem. It could be poor drainage, requiring a surface or french drain. Another source of problems is your or your neighbor’s sprinkler system. Needless to say, windows and doors are important parts of a house. They provide security, ventilation, and aesthetic appeal to our homes. When not functioning as they should, it means something has to be done quickly. Unlike most foundation problems, stuck windows and doors tend to fall into the less noticeable category. In some cases, windows and doors that stick don’t have anything to do with your foundation. It only becomes so when the problem becomes constant. Why do windows stick? Windows stick for many different reasons. 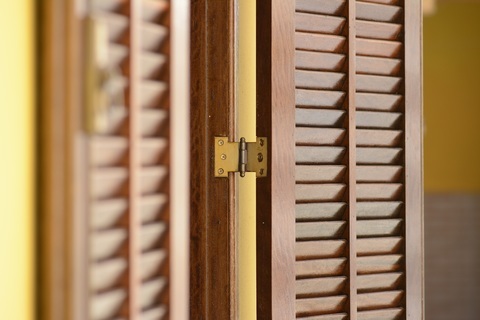 Some of the common reasons include expansion from high humidity, worn hinges and hardware, loose hinge, and warping wood. But if the sticking persists, then the problem could be because of a foundation problem. Why do doors stick? Doors often stick for the same reasons that windows do. In many cases, humidity or wood that’s warping is often the problem. Start with the simplest solutions. Replace the hinges or hardware. Sand some of the width or height. But if the problem doesn’t go away even after doing that, you may be looking at a foundation problem. Tree roots may absorb water in the soil around the foundation causing it to dry out and sink. This is especially common in dry periods. Soil shrinkage. During extremely dry, drought-like conditions, the soil loses moisture and shrinks, first around the perimeter of the foundation. This is especially true when foundation watering is inadequate. In the south and southwest, the foundation must be watered in winter as well as summer. Besides hydrostatic pressure, erosion also causes excess moisture in the ground. A home’s foundation is as essential as it sounds. As such, constant inspection is necessary. 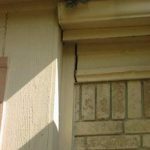 If you notice more than a few of these signs of foundation problems, get in touch with a qualified repair specialist as soon as possible. 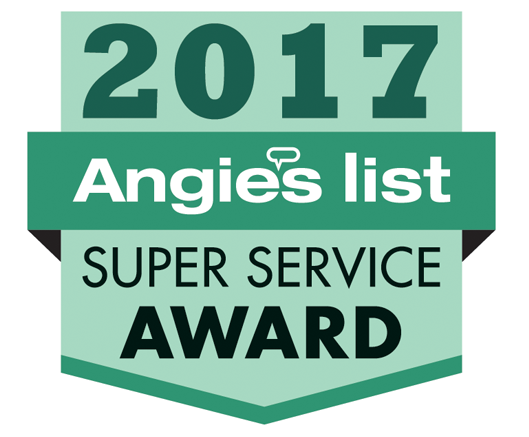 If you’re in need of a Dallas foundation repair company call 214-865-8609.